Home renovation and deciding which products to use for the different areas of the rooms is difficult. Although homeowners will spend a lot of time choosing the right paint, furniture, carpeting, and fixtures such as basins, taps, baths, kitchen sinks, and appliances, many don’t realize that they will need to spend just as much time ensuring that they choose the right guttering as well. Selecting a proper gutter system is the most neglected part of any home renovation plan. Now, we all are not very well versed with the knowledge of selecting the best guttering for our homes. The gutter system looks simply but there is some factor involved which one has to keep in mind. Selecting a proper system becomes important as no one will wish that they need to repair or in some cases replace the system after a few years due to lack of proper knowledge. These points will help ensure that you choose the most appropriate guttering for your home. Before choosing any type of guttering, it’s essential that you check with your local planning office whether there are any particular rules or requirements that will have to be met when installing guttering. If you live in a historic home, you may be required to install copper or cast-iron gutters for instance. Although it’s not essential to know exactly how much it rains or snows each year, having a rough idea in mind will help ensure that you choose guttering that is large enough to be able to channel water off your home’s roof and away from its foundation without overflowing at any time. Areas with higher amounts of rain or snow will require larger gutters in order for them to be as efficient as possible. By analyzing this simple change occurring your surrounding can enable you to take proper decision. Although PVC and aluminium gutters are the most popular options these days, it doesn’t mean that either of these types will be the best choice for your home. Although PVC guttering is highly affordable, it doesn’t last as long as aluminium, cast iron, copper or galvanized guttering. While galvanized gutters may be cheaper than cast iron or copper, it can corrode or even rust over time if not properly maintained. 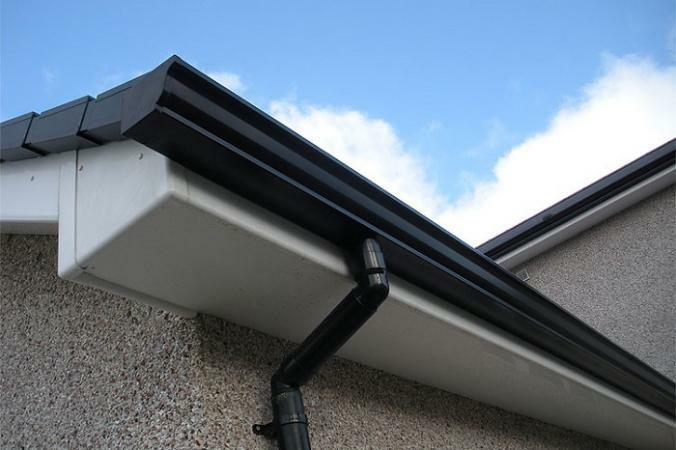 A professional gutter installer will be able to provide you with information regarding the type of guttering that will be most suitable for your home. If you aren’t keen to invest a lot of time and money in maintaining your home’s gutters over the long term, you may not want to install PVC or painted metal gutters. Guttering that usually requires the least maintenance include copper, galvanized and cast-iron varieties, as well as guttering with guards fitted. It’s important to keep in mind though that all guttering will require maintenance from time to time, such as cleaning. In most cases, it is recommended that this task is performed by a professional, especially if you are not comfortable working on a ladder. If all the different types and styles of guttering are leaving you feeling even more perplexed than ever before, it is best to speak with a professional regarding which one will be best for your home. A qualified installer will take into account factors such as the size and type of roofing you have, the pitch of the roof and whether there are a lot of trees around your home or not before providing you with the best possible options. How to Clean Unfinished Wood Floors?